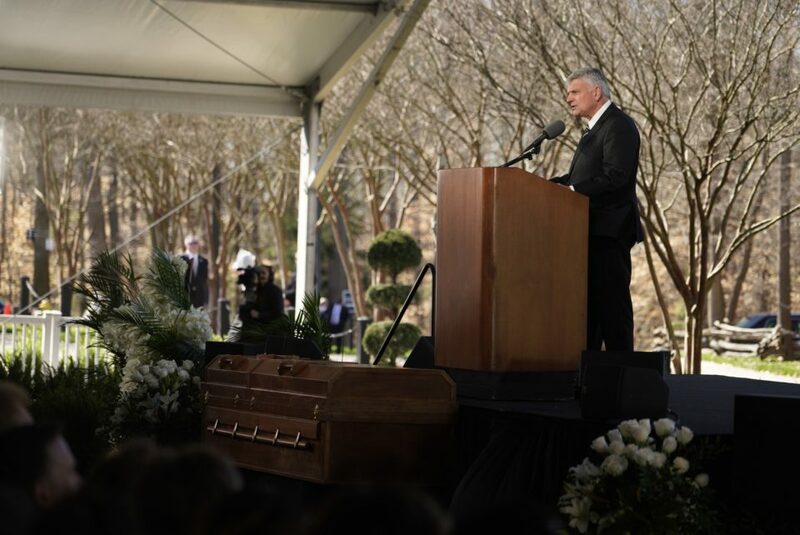 William Franklin Graham Jr., better known to the world as Billy Graham, was laid to rest on Friday, March 2, in his hometown of Charlotte, North Carolina. Born the son of a dairy farmer, Mr. Graham dedicated his life to serving God and sharing the Good News of Jesus Christ with millions worldwide through many platforms, including his Crusades. 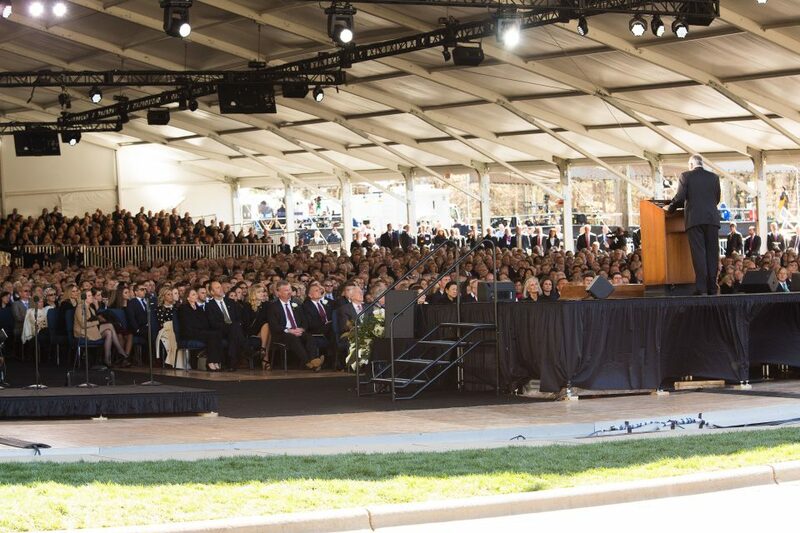 Family and friends—in total about 2,300 gathered for the private, 90-minute funeral service under a massive white tent in the parking lot of the Billy Graham Library. 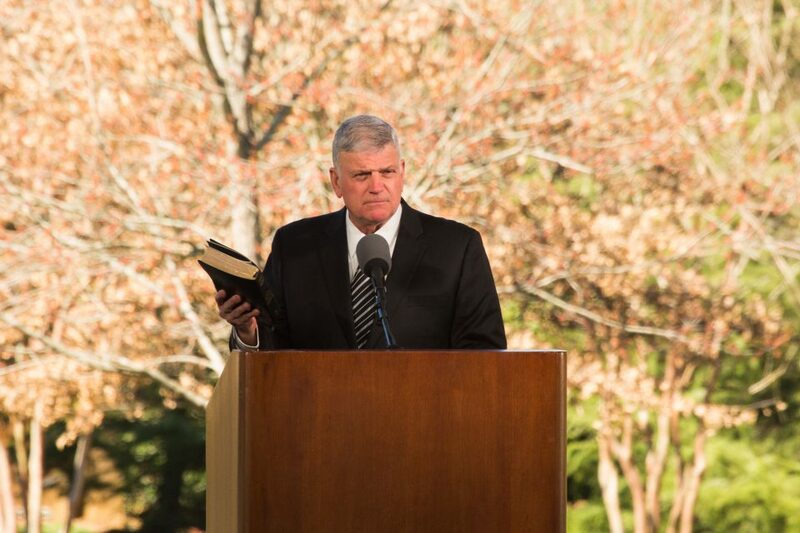 The tent was reminiscent of how Mr. Graham’s ministry started under “The Canvas Cathedral" in 1949 when he held his first landmark Crusade in downtown Los Angeles. 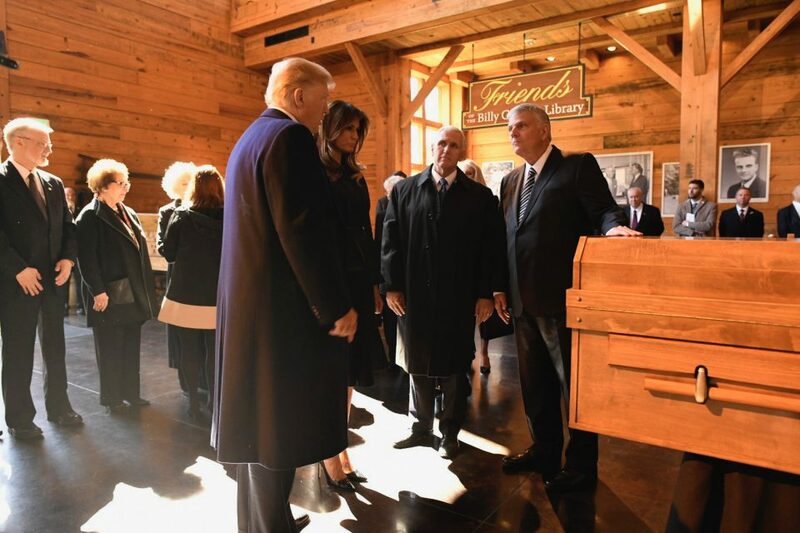 President Donald Trump, first lady Melania Trump, Vice President Mike Pence and second lady Karen Pence visited with Franklin Graham and his family before the service. During his ministry, Billy Graham was considered a pastor to the United States presidents. 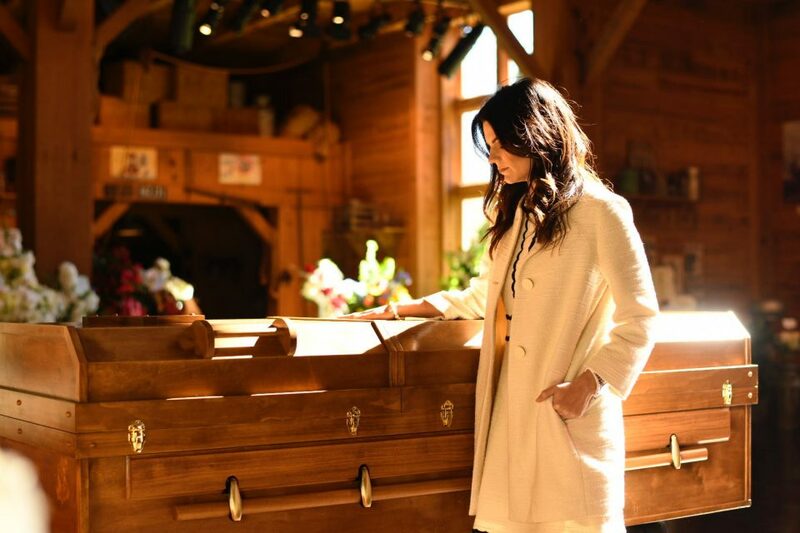 Cissie Graham Lynch spends a moment at her grandfather's casket. “He had a tender, loving soul," she shared during a media interview last week. "He was so good to our family, and we will miss that." 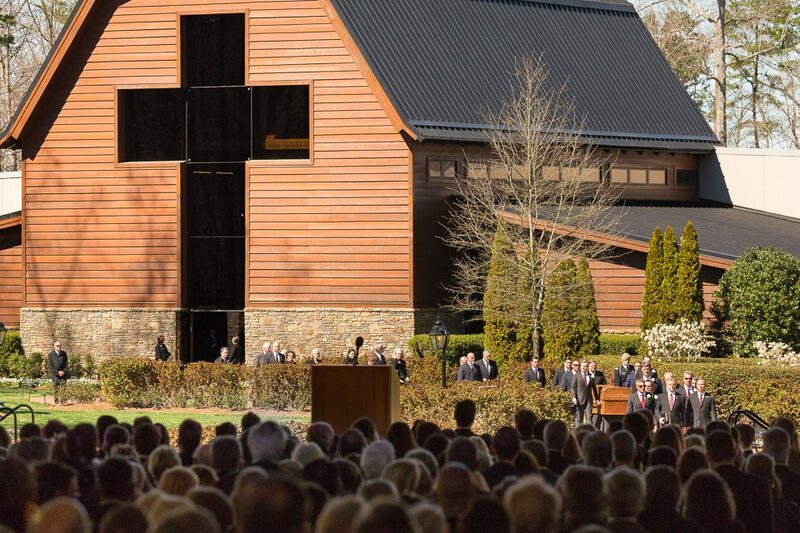 The funeral service began with the family exiting the Billy Graham Library at the foot of the cross. The Library will reopen to the public on Wednesday, March 7. 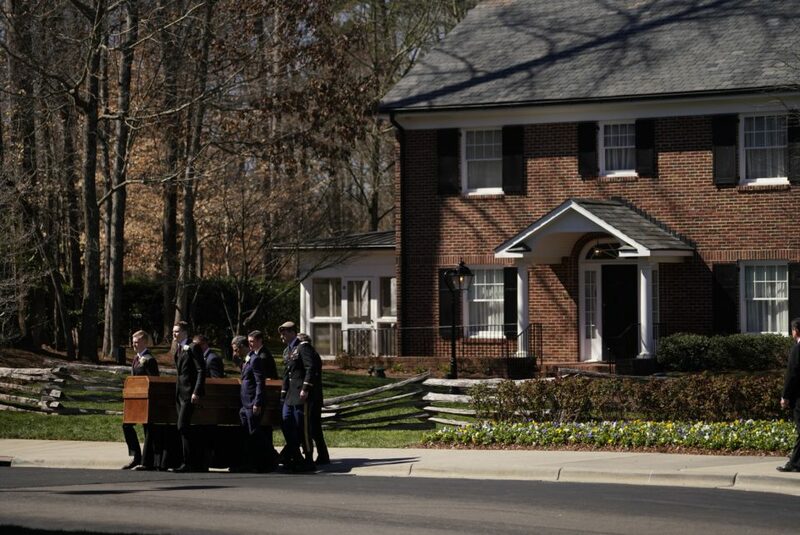 The casket passed by the Graham Family Homeplace, the actual house Billy Graham grew up in, on its way to the tent. Only a few miles from its original location, the home offers visitors a glimpse of Billy Graham's childhood. 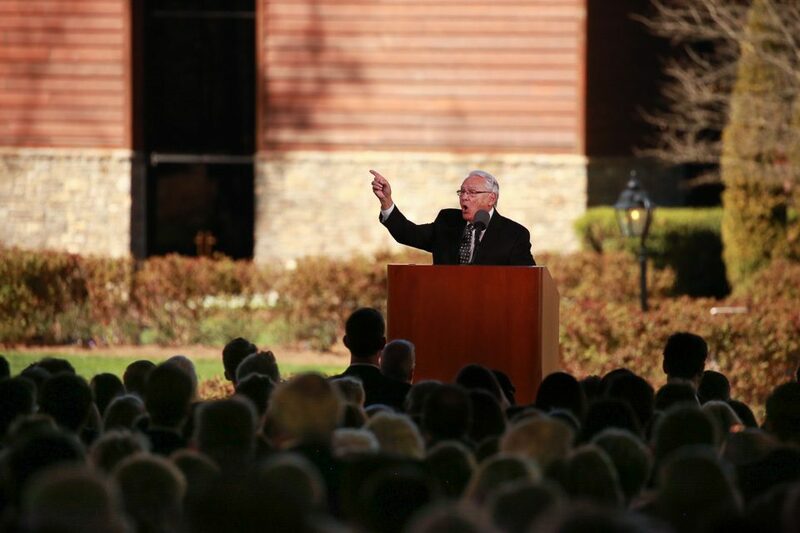 Earlier this week, thousands of guests traveled to the Homeplace, on the campus of the Billy Graham Library, to pay their respects to Mr. Graham. 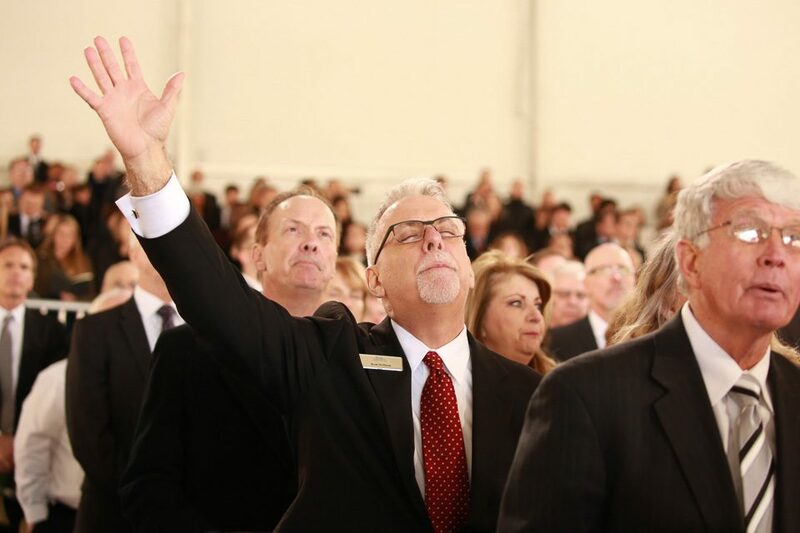 Tom Bledsoe, music director for the Billy Graham Evangelistic Association, led worship during the ceremony, first singing "All Hail the Power of Jesus' Name." 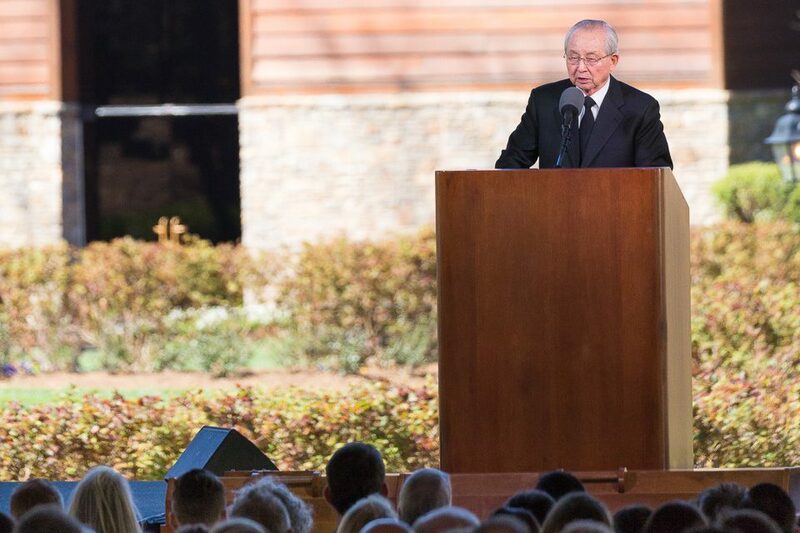 Heartfelt moments of praise and prayer were commonplace during Mr. Graham's ceremony. 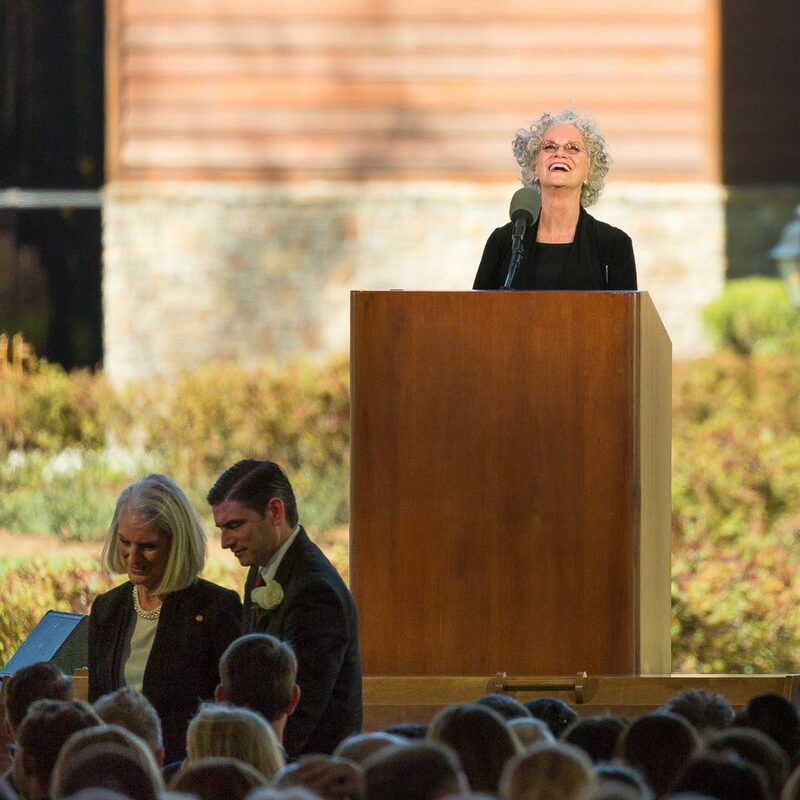 Ruth Graham, named for her late mother Ruth Bell Graham, shares a lighthearted memory during a tribute to her father. 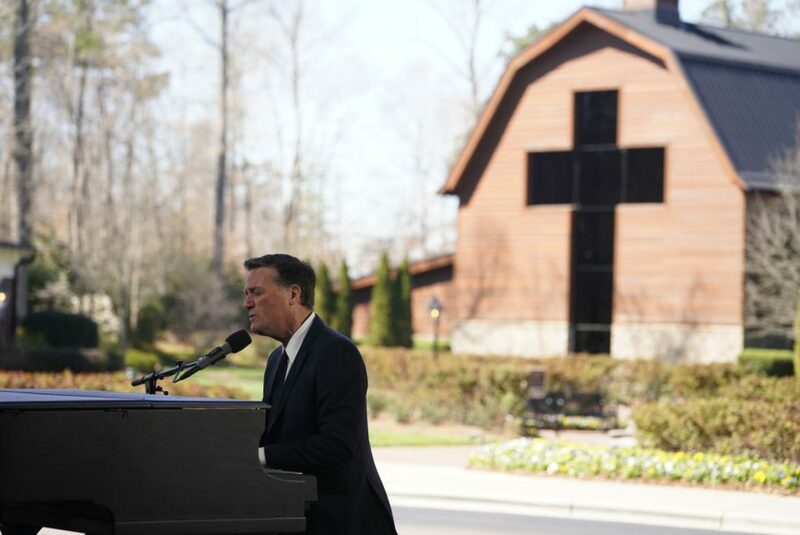 Michael W. Smith played in numerous Billy Graham Crusades throughout the years including his final one in New York (2005). On Friday, the three-time Grammy Award winner followed the time of family sharing with his song "Above All." 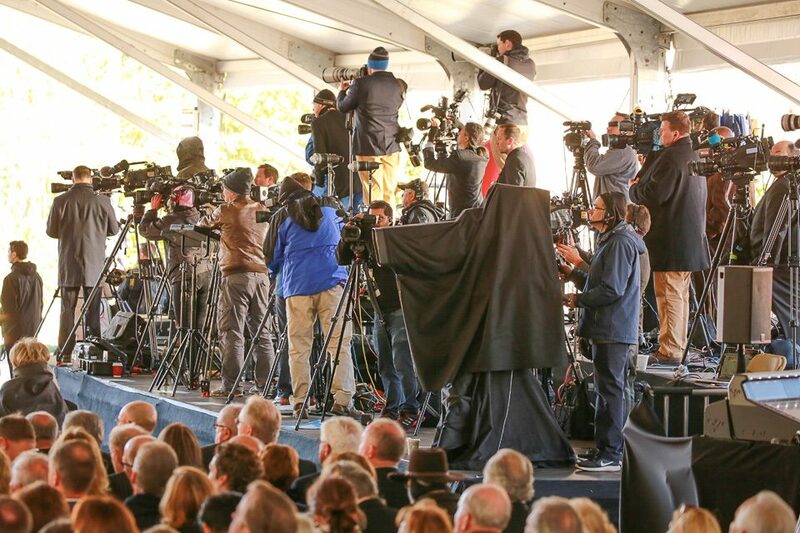 Media members from all over the world gathered to capture the private ceremony honoring the evangelist's life. "Because He Lives" was one of six songs that Mr. Graham wanted played at his funeral. 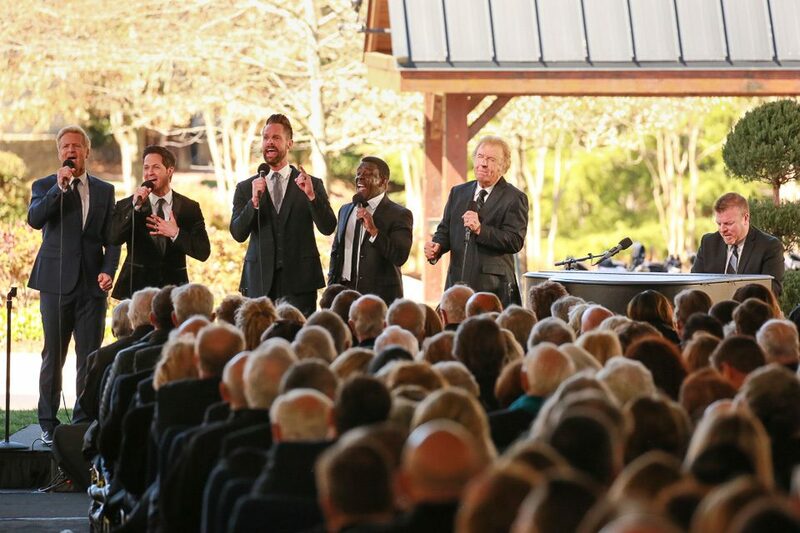 On Friday, the Gaither Vocal Band delivered a powerful rendition that prompted many an "Amen" from those in attendance. "Oh come to the Father through Jesus the Son, and give Him the glory, great things He hath done." 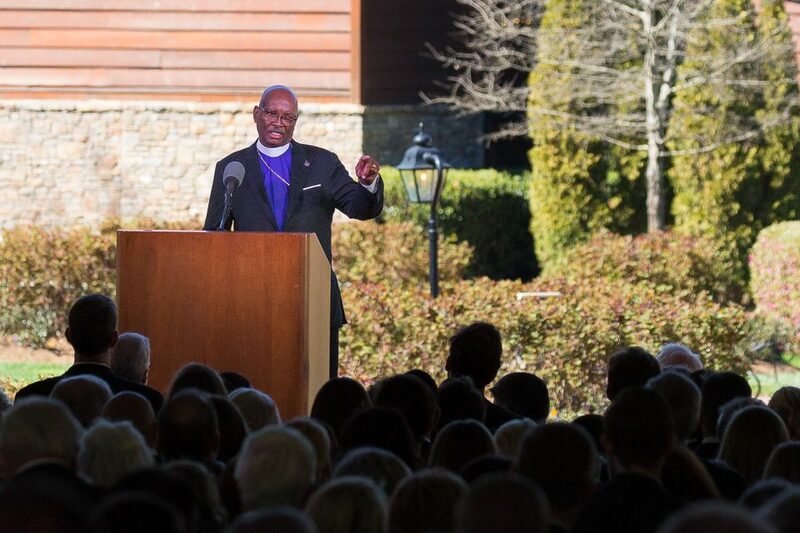 The congregation sang "To God Be The Glory" toward the end of Friday's ceremony. Rev. 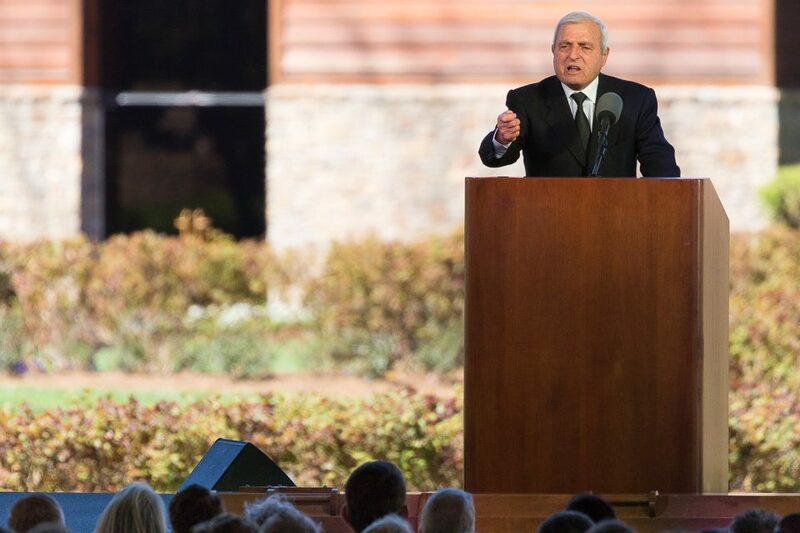 Sami Dagher, a pastor and church planter from Lebanon who has been persecuted for his faith in Christ, described walking into a prayer room in Amsterdam in 1971 and seeing Billy Graham "on his face before God, praying and crying before he went to preach the Gospel." Mr Graham, he said, was "dependent completely on God." "American people, I thank you in the name of Jesus for standing behind this great man, to fulfill the mission which was given to him by God," Dagher said. "And I do pray that God will bless America for giving the world such a great man like Billy Graham. Glory and honor be to our Lord and Savior Jesus Christ." 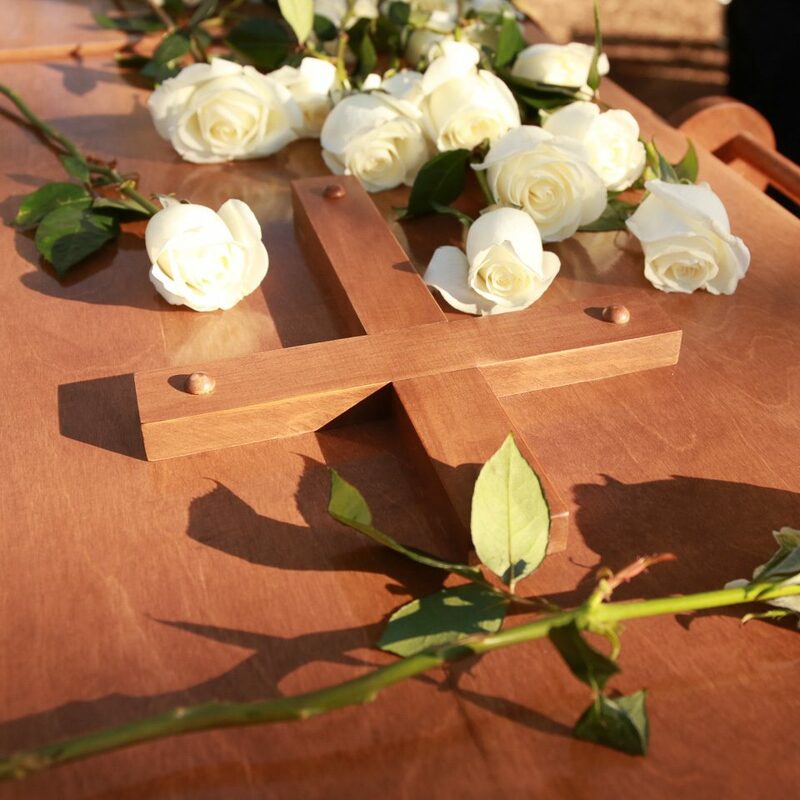 Billy Graham's simple pine plywood casket topped with a wooden cross was crafted by an inmate serving a life sentence at the Louisiana State Penitentiary in Angola, Louisiana. 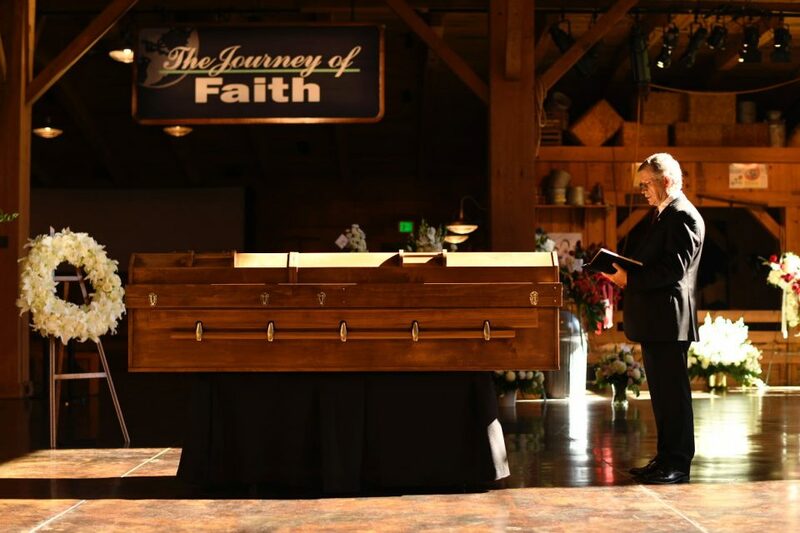 Franklin Graham chose the caskets for his father and mother after seeing them during a 2005 preaching engagement at the prison. Bishop George E. Battle Jr. of the African Methodist Episcopal (A.M.E.) Zion Church in Charlotte gave the benediction. 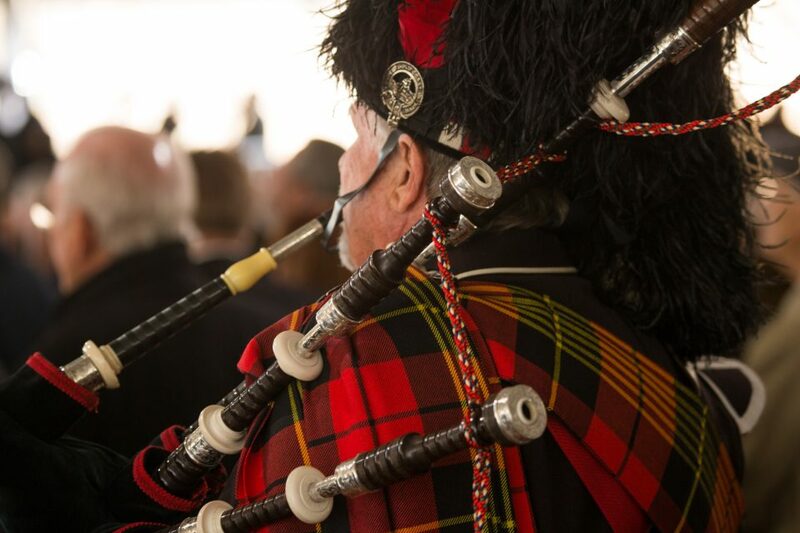 After the closing prayer, Pipe Major William Boetticher played "Amazing Grace" and led the family processional back into the Billy Graham Library. 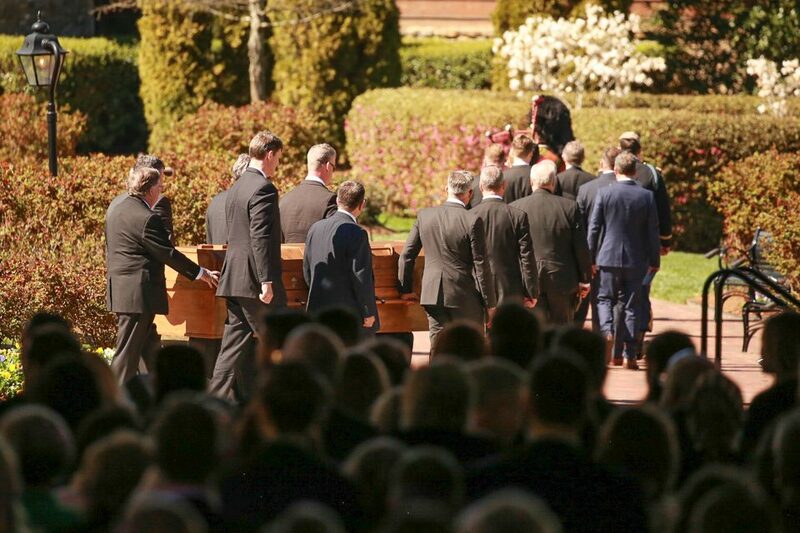 Mr. Graham's 12 grandsons served as pallbearers. 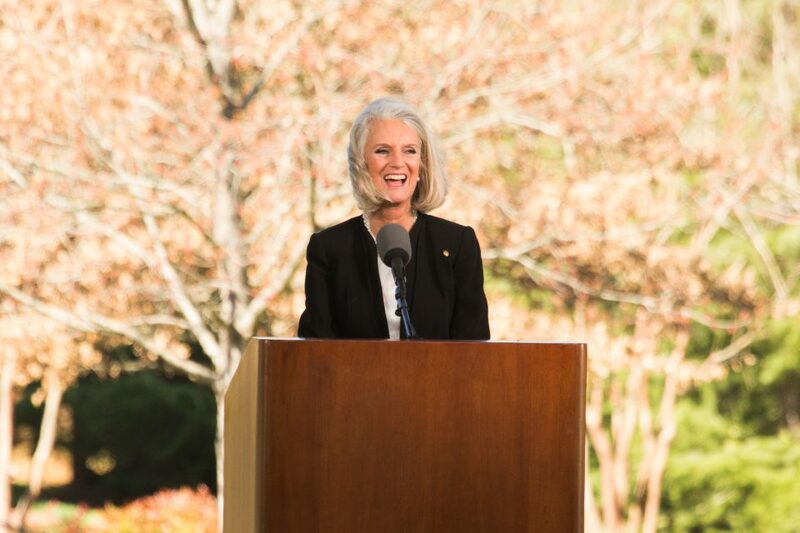 They included Anne Graham Lotz's son Jonathan Lotz; Franklin Graham's sons Edward Graham, Roy Graham, Will Graham and son-in-law Corey Lynch; Gigi Graham's sons Antony Tchividjian, Basyle Tchividjian, Stephan Tchividjian and Tullian Tchividjian; Ned Graham's sons Alex Graham and Samuel Graham; and Ruth Graham's son Graham Dienert. 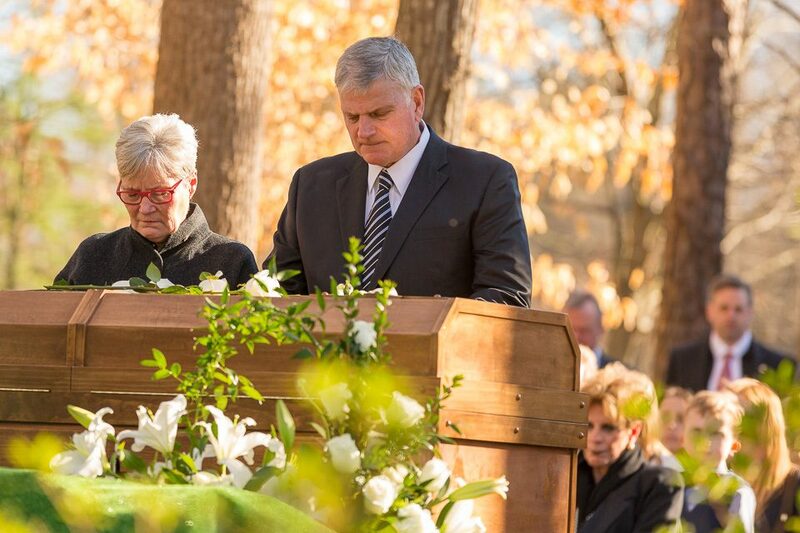 Franklin Graham pauses for a moment of prayer during the interment service. 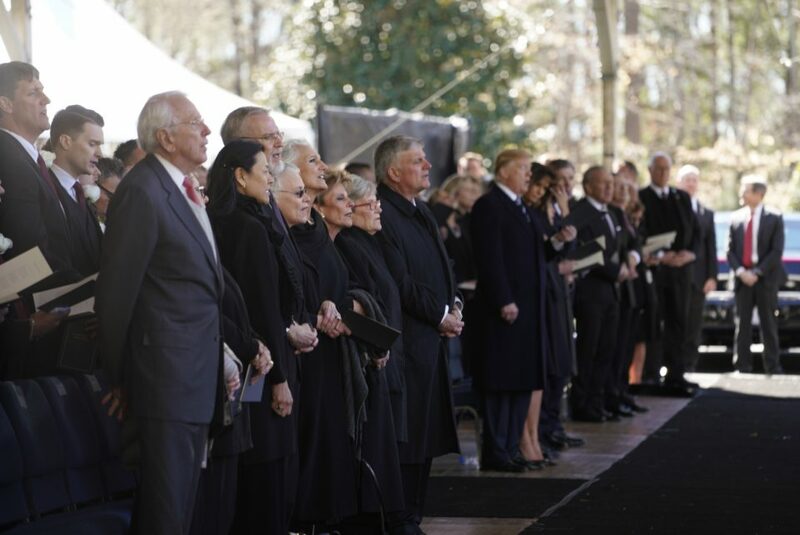 Family members placed white roses on Billy Graham's casket after the private interment ceremony. 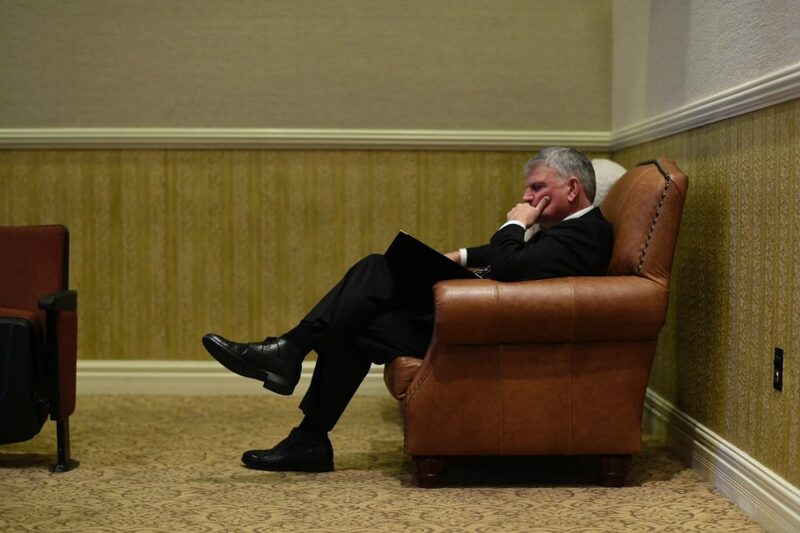 Franklin Graham pauses for a quiet moment on Friday. At the conclusion of his funeral remarks, he said, "Daddy, I won't see you on this earth again but I will see you again. I’ll see you maybe soon, but not yet. To God be the glory." Will you spend eternity in Heaven? Find peace with God today.